Sports have always had the ability to bring people together, but the respect for learned abilities and the work ethic that accompanies great performances have rarely been exemplified better than at Turnstone’s Plassman Athletic Center and Paralympic Training Site in Fort Wayne, Indiana. My travels last month took me to this amazing facility that is financially supported by even more amazing people who care about those who have difficulties caring for themselves. This has been a true community effort developed over many years and is now a world-class Paralympic facility. In this 190,000 square-foot facility, you’ll find athletes who define character and spirit. Turnstone was recently designated as the 7th official Paralympic Training Site. I had the privilege of witnessing a practice by the Women’s Goalball Olympic team as they trained in this state-of-the-art adaptive facility. I watched as six sight-impaired women threw, caught, dove and blocked one another’s shots on goal. This game was a 3-on-3 matchup with each team trying to throw a ball containing bells, slightly larger than a soccer ball, into the opposing team’s net. Played on a 59’ x 30’ court, each team member was both a thrower and a blocker. With only 10 seconds between shots, it was a fast-moving game where only sound helped teams determine the whereabouts of the ball and clues as to how it must be blocked from reaching the nets they guarded. Here was a sport designed to bring out the best in athletes who are visually impaired. Their effort and competitive fire were no less than any athlete competing in any other sport. Turnstone gave them the opportunity and a place to channel their competitive spirits. I found that there was an honesty of purpose at the Plassman Center unlike any other venues I’ve toured. This was not a profit center, it was a people center unlike any other. Sports and Events Coordinator Jaime Garzon was kind enough to share a few thoughts with me. 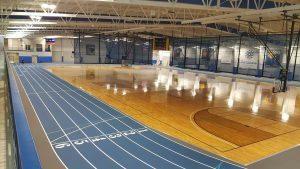 Turnstone’s main facility has an indoor track as impressive as any university track in the country. The main facility has an indoor track as impressive as any university track in the country. Within the track are multiple courts used for wheelchair sports like basketball and soccer. This state-of-the-art facility provides wheelchairs specially designed for participants with various types of adaptive needs. 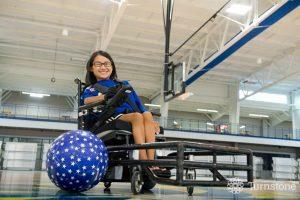 Wheelchairs capable of simple touch steering allow competitors to overcome their own physical limitations, whether advanced paralysis or multiple limb loss, and experience movement so that they can compete. But, make no mistake, these competitors can get as fired up as Lebron at the Q.
Turnstone was recently designated as the 7th official Paralympic Training Site. The benefactors, employees and people of Fort Wayne deserve a huge round of applause and a big hug for the development and commitment to this facility and the programs that are sure to cast a magical light on Fort Wayne for years to come. If you are ever traveling anywhere near northern Indiana make it a point to take the opportunity and visit Turnstone’s Plassman Athletic Center. “Inspirational” does not even begin to describe it. 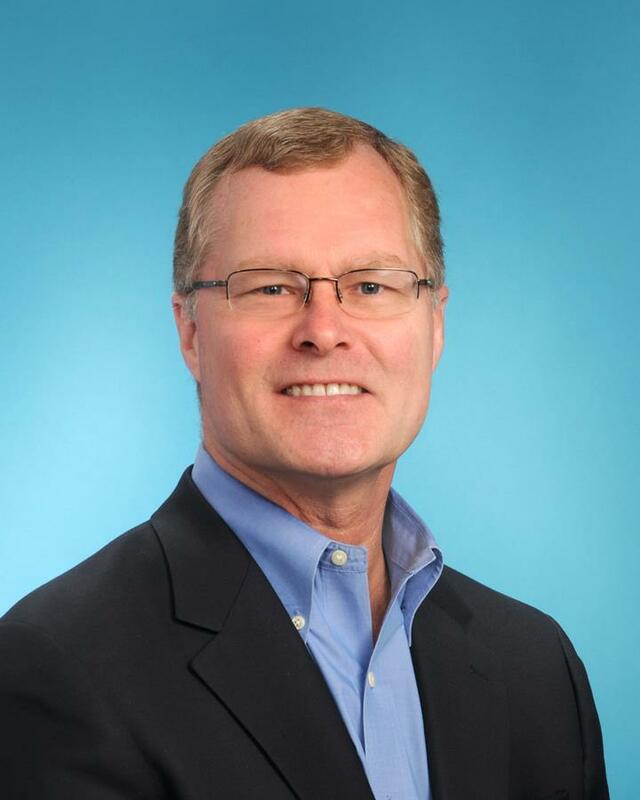 Dan Maloney is the Director of Business Development for Sports Planning Guide. He can be reached at 630-995-1265 or at dan@ptmgroups.com.